Buying a new or used Nissan doesn't have to be so hard when you shop with a dealership that truly cares. We honor your car buying experience. Georgia drivers in search of a new Nissan will find an excellent selection of vehicles to choose from at Tenneson Nissan. We are your primary Nissan dealership serving Thomasville and Phillipsburg, GA Drivers. 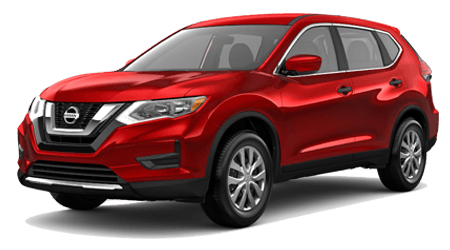 We have all of Nissan's latest models in stock, from sophisticated and sporty sedans like the Altima, Maxima, and Sentra to versatile Nissan Rogue, Pathfinder, Frontier, and Titan models. We even carry Nissan's lineup of NV commercial trucks and vans! Begin and end your car search in minutes by shopping our vast inventory of new Nissan vehicles in Tifton today. Tenneson Nissan -- Tifton, GA's full-service Nissan dealer -- is dedicated to ensuring every Georgia customer who passes through our lot leaves satisfied. You can enjoy our fully stocked inventory, friendly sales team, and expert auto servicing all with a hassle-free experience. We serve drivers near Albany and Valdosta, GA to ensure the best possible car-buying experience. Drive away in a brand new Nissan Altima when you stop in and see us today. To get the treatment, you deserve and the car you want, call our dedicated team now. We cannot wait to serve you at our new and used Nissan dealership in Tifton, GA.
What new Nissan vehicle have you dreamt of driving? 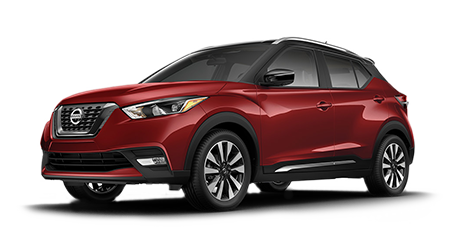 From sporty and versatile Nissan crossovers, SUVs, and pickups like the Juke, Pathfinder, Rogue, Frontier, and Titan to fuel-efficient Nissan cars like the Sentra, Versa, Versa Note, and all-electric Leaf -- Tenneson Nissan has them all in stock! In fact, car buyers will find the complete lineup of new Nissan vehicles in stock at Tenneson Nissan in a wide range of trims, options, and colors. Of course, if we do not happen to have the specific Nissan you are looking for within our current inventory, then we can find it for you! Our Nissan sales specialists are committed to getting each of our car shoppers into the shiny new Nissan of their dreams. We offer an expert finance team that assists drivers with auto financing and leasing options near the Albany and Valdosta, GA areas. Our auto finance specialists work with car buyers all along the credit spectrum, so whether you have good credit, no credit, or bad credit, our finance staff can help you get into your new or used car with a great rate on your auto loan. Submit a secure online finance application to get the auto financing process underway! 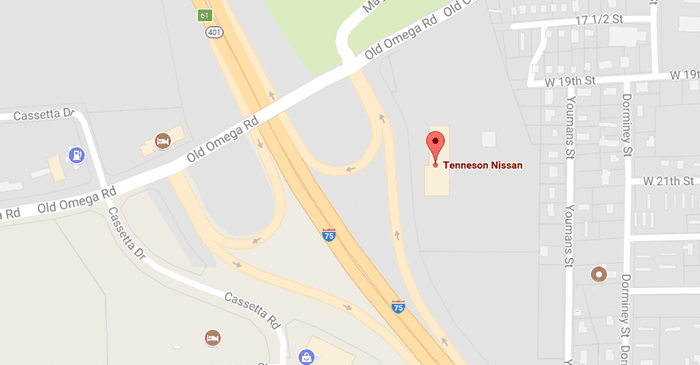 Tenneson Nissan is here to simplify things with genuine OEM Nissan and NISMO parts. Our Parts specialists can answer your questions and let you know if we have the genuine NISMO parts you need. We have made the process of ordering auto parts or accessories simpler than ever. The e-Store displays diagrams of your vehicle to assist you in your search. Additionally, there are discounts right on the site, so you can punch in a coupon code at check out to get an even more affordable price on the OEM part or accessory you need. Here at Tenneson Nissan, we also provide Tifton area drivers and car shoppers with a superb selection of used and Certified Pre-owned (CPO) Nissan vehicles. CPO Nissan cars, SUVs, and pickups provide used car buyers with added peace of mind, thanks to their rigorous inspection process, stringent model year and mileage requirements, and updated warranties. Next, to our used Nissan vehicles, car shoppers will find quality used cars from other top automakers, too. Shop our current used car specials to find an extra sweet deal on a pre-owned Nissan! 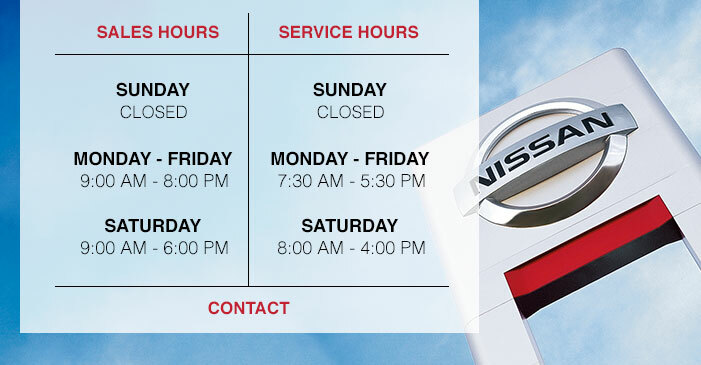 Our Service Department is staffed by Nissan-certified service technicians who do every Nissan service job the right way. From oil and filter changes, brake repair and replacement, to tire rotating and balancing, wheel alignment, and warranty repairs, the service staff at Tenneson Nissan is up to the task! Our Parts Department can provide the genuine OEM Nissan replacement parts or accessories for any Nissan DIY project. Our full-service dealership is here for you whether it be in person, over the phone, or online. We know we can't always be right next to you when you have questions. That's why we have made our website as detailed and informative as possible. We also have implemented many opportunities for you to get the servicing you need online whether it be through our Finance, Service, Parts, or Sales Department. We are here for you in person and online!